At a conference on Sunday, November 8, I spoke of what Netanyahu had shared concerning the relationship between the founding father of the Arab Palestinian movement and the Nazis. 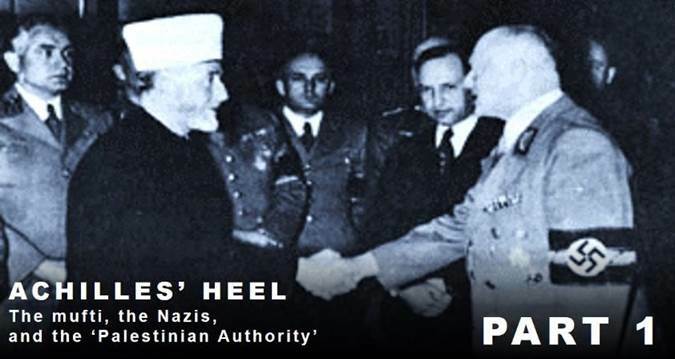 What matters, I emphasized, is that PLO/Fatah, today’s ‘Palestinian Authority,’ was created by a leader of the Holocaust—this is the Achilles heel of the enemies of Israel. In attendance, José Hamra Sassón, former News Director of Channel 11 (TV), demanded that I produce any evidence to prove this. I have. Achilles, the mythical warrior, fighting under protection of magical bathwaters was—almost—invincible. But mother had neglected to wash the heel! A poisoned arrow found that heel one day and killed him. Hence our popular expression: everybody, no matter how strong, has an ‘Achilles heel.’ Israel’s enemies have theirs and, October last, Netanyahu exposed it. 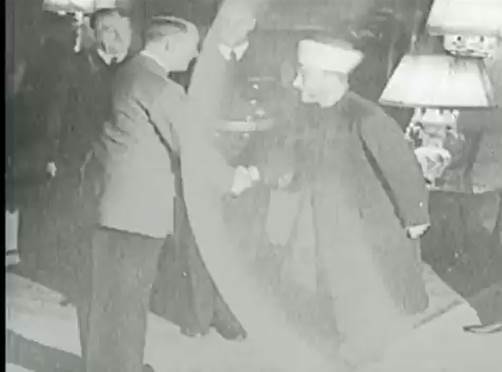 It was November of 1941, shared the prime minister at a conference, when Hajj Amin al Husseini, trailing a wake of antisemitic massacres upon which rested his prestige, entered Berlin triumphantly to meet with Adolf Hitler. 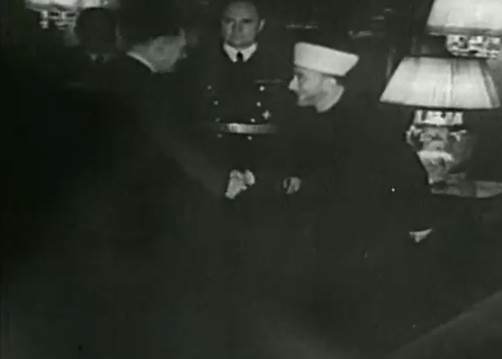 Husseini, Arab Palestinian and Mufti of Jerusalem, carried considerable weight in the Muslim world and was seen in Berlin as “a future leader of all Arabs and Muslims, perhaps even reviver of the Islamic caliphate.” Once in Berlin, Husseini convinced the German dictator not to expel the European Jews to the British Mandate for Palestine. Better to burn them. That, said Netanyahu, nudged the Nazis into full genocide. 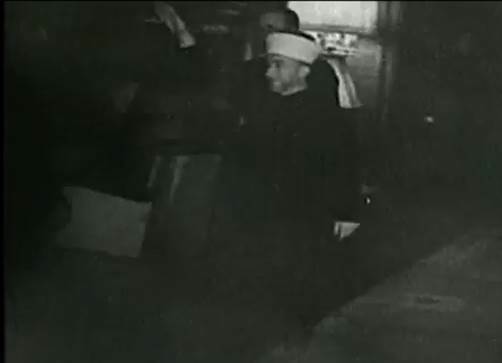 The documentation linking Husseini, at the highest level, to the Holocaust is abundant, even redundant. And it was so well known at the close of the great conflict that British parliamentarians hotly demanded that he be tried at Nuremberg for war crimes and crimes against humanity. Those reporting Netanyahu’s comments had a golden opportunity to educate the public, mostly still in bliss about all this. But the media put the spotlights on a minuscule detail—who was it that first had the genocidal idea?—and distracted us from the important stuff: that Husseini was a great Nazi exterminator of Jews. The famous ‘Peace Process,’ it follows, is seeking to separate a vital territory from Israel—from the haven from extermination—and hand it over to the political heirs of the exterminators! No such process can bring peace to the Jews, the target in PLO/Fatah’s genocidal sights. Neither can it bring peace to the Arab Palestinians, because—just as the Nazis did with the Germans— PLO/Fatah turns them into cannon fodder. So here is the ‘Achilles heel’ of all who seek to raise the prestige of the ‘Palestinian Authority’ and delegitimize Israel. Why? Because any such campaign must recruit political support: a critical mass. In order for many Westerners to throw their weight against Israel—and for many Israelis to give in to such pressure—the ‘Palestinian Authority’ must be represented as the liberator of an oppressed people, not as Adolf Hitler’s genocidal heir. More than one Westerner will blush with shame to find him or herself supporting a Nazi organization. For this very reason, to broadcast the origins of the ‘Palestinian Authority’ is to aim an arrow straight at the Achilles’ heel of Israel’s enemies. We may now evaluate the ‘Jews control the media’ hypothesis. 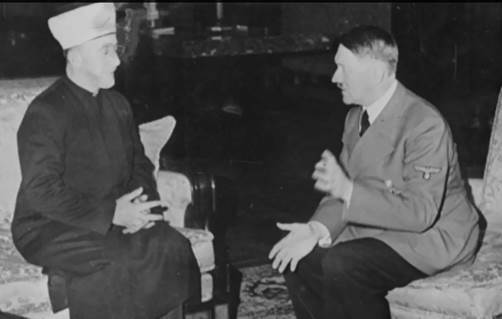 For if ‘the Jews,’ as we always hear, control the media, why didn’t they broadcast before the relationship between the Nazis and the Palestinian movement? 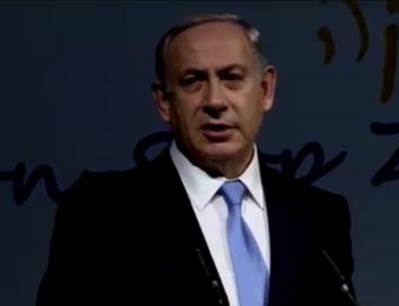 And why do they all rush Netanyahu the minute he dares to squeak? It would seem, rather, that the media are on a short antisemitic leash. But the antisemites, I would say, control more—much more. Twelve years ago, when I dared to squeak and was smashed by an anvil, I began to form this hypothesis. In those days, on the strength of my merits as an anthropologist focused on the history, psychology, and ethnology of ethnic conflict, I had been hired as a professor of cultural and evolutionary psychology at the University of Pennsylvania, and at its Solomon Asch Center for Study of Ethnopolitical Conflict, a joint creation of the political science and psychology departments. One day, as I researched the history of the Arab-Israeli conflict, I came across the Nazi origins of PLO/Fatah. When I published this documentation on Israel National News (Arutz Sheva), my superiors, after warning me that I was “committing academic suicide,” canceled my courses and denied my reappointment. That was apparently not quite enough: the Philadelphia Inquirer published an article attacking me and FOX-NEWS sought to finish me off with a bullying session. These media chose to speak of anything at all except what I had documented: the Nazi roots of the ‘Palestinian Authority.’ The powerful, it seems, do not want these roots in the open. Last week these memories came back to me in a rush. By invitation, I gave a conference on Sunday, November 8, at an event called ‘Día Limud,’ organized by the Mexican Jewish community. I spoke there of what Netanyahu had shared, and I emphasized that the weightiest issue here is that PLO/Fatah, today’s ‘Palestinian Authority,’ was created by an author of the Holocaust, and this information is the Achilles’ heel of the enemies of Israel. In attendance, José Hamra Sassón, former News Director of Channel 11 (TV), demanded that I produce, that very minute, a reference—any reference, just one, from an academic, whoever it might be, but a single one!—claiming that Husseini had had anything whatever to do with the creation of PLO/Fatah. I will be happy to send that to you, I began to answer, but I could never finish, for he interrupted me to demand that I cite the academic in that very instant. Several times I tried to answer but it was impossible to make myself heard over his increasingly heated interruptions. Neither the moderator nor myself could recover the control of my conference—not until, that is, the entire audience had overwhelmed him with loud protests. When my talk ended, Hamra lamented bitterly to me that “so many people follow you and listen to you.” I counted 26 people in attendance—an intolerably vast multitude. I approached Hamra later in the hallway to suggest that his behavior was consistent with a provocation. He denied it. The problem, he said, was that I had never answered his ‘question’: I had not named a single academic—not even a one—. Very well, I said, Howard Sachar: he explains in A History of Israel that Al Fatah was a creation of Husseini’s Arab Higher Committee. He returned: “I have ten historians who say the opposite.” That reply, I proposed to him, was consistent with an intent to provoke. At this he promised that he would consult Sachar’s book. I took an arrow from his quiver and asked him to give me, from the alleged multitude of academics who dispute Husseini’s role in the creation of PLO/Fatah, the name of one. There seemed to be some difficulty in choosing just one, but in the end he said: Barry Rubin. I promised to check it out. In his blog, titled Facing the Mirror – Israel-Palestine Co-existence, Hamra writes that “to disown roots, by omission or commission, is to grow in error.” This principle appears to admit of an exception: PLO/Fatah’s roots. Because Hamra is so committed to seeing these particular roots disowned that he organizes disturbances if anybody mentions them, and he justifies himself on the authority of historians who, as we see, do not even support him. I fret a bit, therefore, over the probable quality of the news at Channel 11. Once again the same pattern: the minute somebody points to the link between Husseini, a Nazi exterminator of Jews, and PLO/Fatah, now better known as the ‘Palestinian Authority,’ those responsible for media content let their tongues run amok. Would you like to defend Israel? Then share these facts. You will also be defending, by the way, the Arab Palestinians, for they are daily oppressed and abused by PLO/Fatah (as you might expect from an organization created by Nazis). Gil-White, F. (2014). El Colapso de Occidente: El Siguiente Holocausto y sus Consecuencias (Tomo 1: Hajj Amin al Husseini). México, DF: FACES (Fundación para el Análisis del Conflicto, Étnico y Social). Rubin, Barry; Schwanitz, Wolfgang G. (2014-02-01). Nazis, Islamists, and the Making of the Modern Middle East.Yale University Press. Kindle Edition. (p. 5). Dr. Francisco Gil-White is interviewed by Hannity & Colmes (FOX-NEWS); Historical and Investigative Research; February 2015. “...in February 1967 the PLO [Palestine Liberation Organization] leader [Ahmed Shukeiry] was wounded in an assassination attempt. For the while, as a result, the organization was at least partially immobilized by factional intrigues. Not so a rival, and even more radical Palestinian group in Syria, the Fatah (Arab Liberation Movement), organized several years earlier by veterans of the Mufti’s [Hajj Amin al Husseini’s] former Arab Higher Committee. NOTE: The authors document this meeting with contemporary reports from Lebanese intelligence.